Come and experience the magic of Mendocino wine country. Mendo Wine Tours offers a guided tour from the Mendocino Coast to the internationally famous boutique wineries of the Anderson Valley. Our Mendocino wine tour is unlike any other wine tasting experience. The day will start with a spectacular scenic trip from the whitewater views and ocean beaches of the rugged Mendocino Coast, into the forest of the towering giant redwoods, arriving among the idyllic hills of Anderson Valley where you will spend your day. Mendocino wine tasting at these artisanal wineries is fun and memorable, and you can sometimes talk to the winemakers in person. Most tasting rooms are located right next to their vineyards, which grow the best Pinot, Chardonnay, and Gewurztraminer grapes. These wineries offer local varietals and also many other wines to taste. 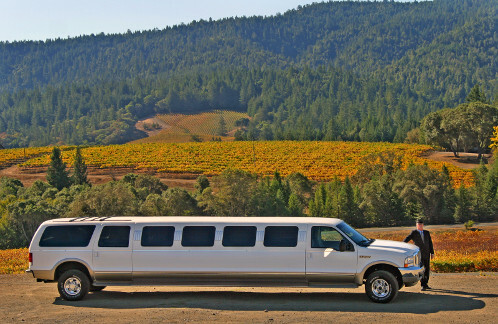 Mendo Wine Tours requires prior arrangement. Tours are six hours long, typically beginning at 10AM and returning around 4PM. Our wine tour guide will pick you up anywhere in or near Mendocino Village (from north in Fort Bragg and as far south as Elk**) and take you on a guided day-long tour of the region's award-winning boutique wineries. We do the driving, so you can sample as many wines as there is time for. Our gourmet picnic basket lunch is carefully planned and prepared using the freshest local and organic ingredients. It includes an epicurean sandwich (homemade bread with choice of meat or vegetarian), pasta salad, fresh fruit, select mixed olives, a homemade cookie, and a fruit and cheese plate. Anderson Valley also has a world-class micro-brewery, so please feel free to ask for a stop at this alternative tasting room! We may be able to arrange wine barrel or reserve tasting and/or behind-the-scene tours with the winemakers by special advance request. For more information about this wonderful Mendocino wine tasting experience, please call 707.937.0289 or Toll Free 1-800-609-0492.